Norvil Ray “Short” Cole passed away on Wednesday, October 10, 2018, at the age of 93. The family will hold visitation 2:00-5:00 p.m. at the Strode Funeral Home Chapel in Stillwater on Sunday, October 14, 2018. Services are planned for 10:00 a.m. Monday, October 15, 2018 at the First Baptist Church of Perkins. Norvil was born on May 23, 1925, in Washington County, Arkansas. He was the youngest of eight children of William and Eliza Cole. He grew up in the hills of NW Arkansas and Eastern Oklahoma. He eloped on August 12, 1942, with Olivie Panzy Hodges in Fayetteville, Arkansas. They celebrated their 76th wedding anniversary this past August. Norvil was a World War II veteran, having served in the Navy in Guam. He later joined the National Guard during the Korean Conflict. 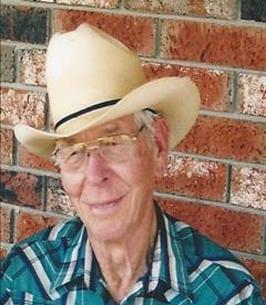 He attended Oklahoma Agricultural and Mechanical College School of Technical Training on the GI Bill and graduated with a degree in Auto Mechanics in 1952. After graduating, he took a job with the USDA and moved his family to Stillwater. When the USDA office was relocated, he took a job with the Agriculture Engineering Department at OSU as a machinist and later as shop manager. He retired in 1986. Norvil and his wife enjoyed going camping and taking many cross-country trips, often with children and grandchildren. 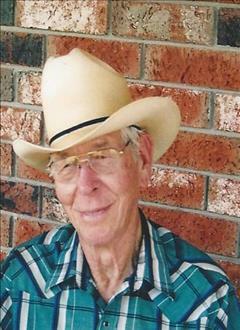 He was an active soil conservationist and enjoyed raising cattle and riding horses. He provided for his family on a farm with chickens, milk cows, a family garden, horses to ride, and a pond to fish in. Norvil was well known for his harmonica and guitar talents. He was a man of strong faith and was ordained in 1967 as a Southern Baptist deacon, and served until his health no longer allowed it. Norvil’s greatest joy was his family. He is preceded in death by one son, Neil Cole. He is survived by five children, Tim Cole of Perkins, Gary Cole and wife Cathy of Newalla, Grady Cole of Perkins, Gayle Harris and husband Keith of Stillwater; Karen VanDusen and husband Guy of Sherman, Texas; 14 grandchildren; 20 great-grandchildren and one great-great-granddaughter. To send flowers to the family of Norvil Ray Cole, please visit our Heartfelt Sympathies Store. We encourage you to share any memorable photos or stories about Norvil. All tributes placed on and purchased through this memorial website will remain on in perpetuity for future generations.